The first ever black woman to ever travel to space, Mae Carol Jemison was one of NASA’s astronauts. She orbited for eight days while onboard the Space Shuttle Endeavour flight starting on the 12th of September, 1992. After completing her medical course and working in general practice, she then served the Peace Corps for two years from 1985-1987. Around that same time, she was picked by NASA to be one of their astronauts. On October 17, 1956, Mae Carol Jemison became the youngest child of Dorothy Green and Charlie Jemison. She was born in Decatur, Alabama and her mother spent most of her professional career as math and English teacher while her father worked as a maintenance supervisor for one charity organization. When she was young, she had a learning experience which sparked a fascination she had for pus. She had her thumb splintered and her mother made her see a learning experience from it. Because of it, she undertook a project which revolved all around pus. While she was in kindergarten, she was asked what she wanted to be and she said she wanted to be a scientist. When the teacher asked if she meant she wanted to be a nurse, she knew nothing was wrong with that profession, but that was just not what she wanted to be. In 1973, she graduated from Morgan Park High School in Chicago and went to Stanford University when she was 16. Four years later, she received her bachelor of science’s degree in chemical engineering while at the same time fulfilling the requirements needed for a Bachelor of Arts degree in African and Afro-American Studies. Being a black woman, it was hard for her especially during her years in the university. She said that her youthful arrogance may have helped because when she set her mind to it, she would finish what she started without caring about what others thought of her. In 1981, she completed her degree to be a Doctor of Medicine in Cornell Medical College which is now known as Weill Medical College of Cornell University. While she was in the Cornell Medical College, she also took classes for modern dance at Alvin Ailey School. During her years in medical school, she had travelled to Kenya, Thailand, and Cuba to help provide the people in those countries medical care. As an intern, she worked at Los Angeles County-USC Medical Center where she also later on worked as one of the general practitioners. Apart from her career in medicine, she formed a dance studio at home where she choreographed as well as produced shows about modern jazz as well as African dance. When Jemison had completed her medical training, she joined the Peace Corps as a Medical Officer for three years from 1983. She took care of the health of other Peace Corps volunteers who were assigned to serve in Sierra Leone and Liberia. Once in her years in the Peace Corps, a patient was diagnosed with malaria but Jemison was certain it was meningitis and that it could not successfully treated while they were in Sierra Leone. She then called for a Germany-based Air Force plane to have medical evacuation which cost $80,000. The embassy even questioned her if she had the needed authority to call for such an action but in reply she told them that she didn’t need anyone else’s permission for this medical decision. When they reached Germany, the 56-hour wait for the patient was worth it because the patient survived. Jemison applied for the astronaut program after the space flight of Sally Ride in 1983, the first American woman in space. Interestingly, her inspiration to become an astronaut came from Nichelle Nichols, an African-American actress who played Uhura in the famous series Star Trek. Although she was rejected on her first try, she received a call in 1987 asking if she was still interested, and she took it. She went on her only space mission on September 1992, from the 12th to the 20th with six other astronauts aboard the Endeavour on mission STS47. Her total orbit in space lasted for 190 hours, 30 minutes, and 23 seconds. During her eight days in space, Jemison conducted experiments on weightlessness and motion sickness on the crew and herself. With her role as science mission specialist, before her launch into space in 1992, she worked for NASA and helped with activities which were being facilitated in Florida’s Kennedy Space Center. She also helped with the Shuttle Avionics Integration Laboratory or SAIL with their computer software verification. After her resignation from NASA in 1993, Jemison established her own company called the Jemison group which researches, develops, and markets science and technological improvements which can be used for daily life. Part of the reason why Jemison resigned from NASA was her interest in the interaction between social sciences and technology, and she carried out this interest by the foundation of her company. That same year she was contacted by LeVar Burton, and asked if she would like to be part of Star Trek. He heard she was a fan and it was a dream come true when Jemison appeared in one of the episodes of Star Trek. To make her appearance extra special, she was the first ever real astronaut to have made an appearance on the show. Jemison believed that her parents were the best scientists she ever knew, and so she founded the Dorothy Jemison Foundation for Excellence. One of their most notable projects was TEWS or The Earth We Share which is an international space camp for the youth to work on solving global problems. In 1999, she founded the BioSentient Corp which aims to develop mobile monitoring for the INS or involuntary nervous system. Other endeavors included participating in African American Lives for PBS, appearing in charity events and being a guest speaker and guest personality for TV shows. 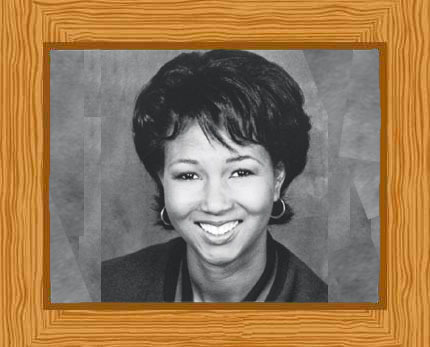 From 1995-2002, Jemison was Professor-at-Large at Cornell University and also was Dartmouth College’s professor for Environmental Studies. Her more recent appearances include appearing with the former First Lady Michelle Obama in a forum in Washington, D.C., and an appearance at NPR’s “Wait Wait… Don’t Tell Me” as the “Not My Job” guest in February 2013 while she answered questions related to airport shuttles.